We’ve never had it so good when it comes to phones. The iPhone 6S, the Samsung Galaxy S6, the LG G4: the list goes on. 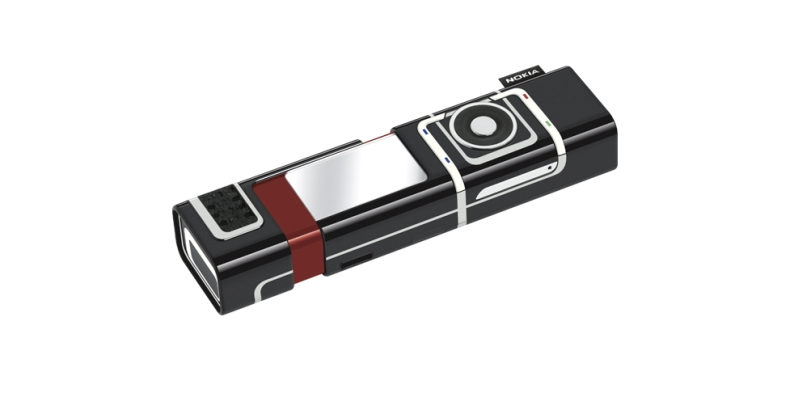 You’d be forgiven for thinking that the 7280 was Nokia’s first foray into robot cosmetics, but this isn’t a cyborg lipstick; it’s actually a phone. For a phone that looks so futuristic, the 7280’s main downfall is hugely ironic: an old school rotary dial. 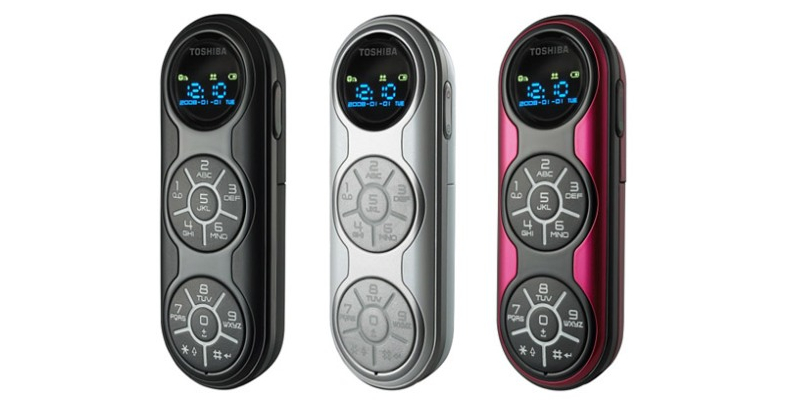 Rather than having a keypad, it has an iPod style scroll wheel. To dial a number, you had to press the middle button, scroll to your number, press the middle button again, scroll to the next number and so on. Before the likes of Apple and Samsung started including parental controls on their devices, phones that protected kids from the various nasties that wanted to contact them were all the rage. Case in point, the Telsta TicTalk. Only numbers approved by parents could dial this Tamagotchi-esque device, which made it impossible to text people you fancied. 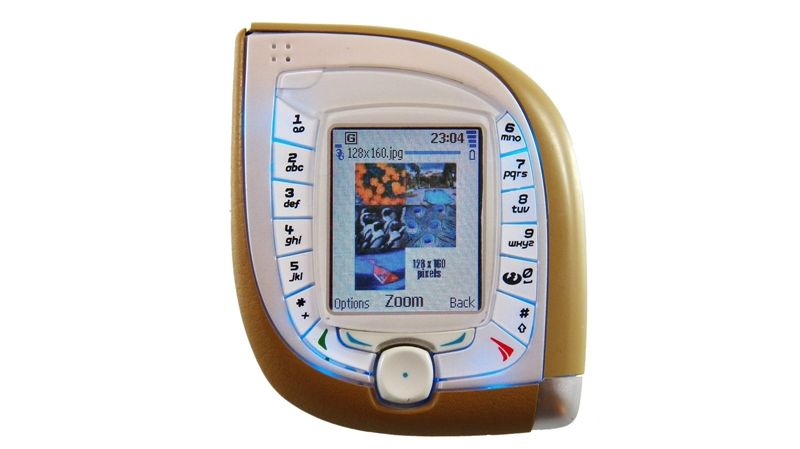 Given that most kids had proper phones around the time of the TicTalk, showing up to school with one was like showing up to non-uniform day in an ‘Adidos’ jumper – you didn’t stand a chance. It did have the absolutely seminal Monkey Math bundled as standard though, so that’s something. 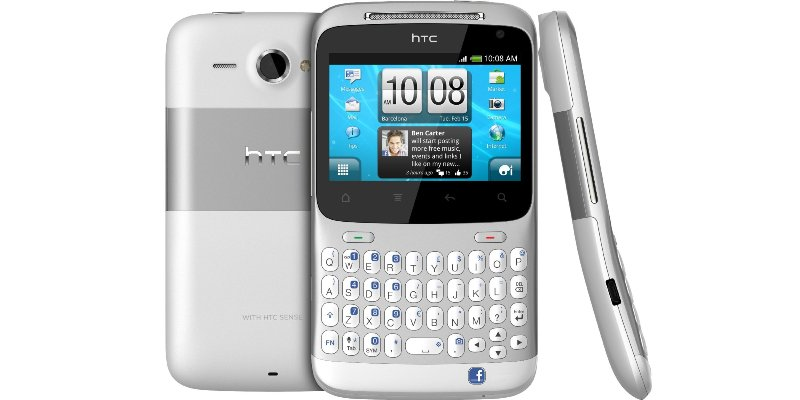 One of the the long-awaited ‘Facebook phones’, the HTC ChaCha turned out to be a regular Android phone with a special physical button that took you directly to Facebook. As opposed to the virtual button that you can place on your home screen already. While it’s not as terrible as some of the phones in this post, the hype surrouding it and the resulting disappointment makes this one of the worst smartphones of all time. Why make one disgusting phone when you can make a whole range of them?! The Xelibri line was designed for fashionistas, although we don’t know many fashion types who’d sully their Prada handbags with something that looks like the love child of a kids’ toy and a toilet seat (as the Xelibri 6 did). We think it’s one of the worst looking mobile phones ever – but maybe you disagree! 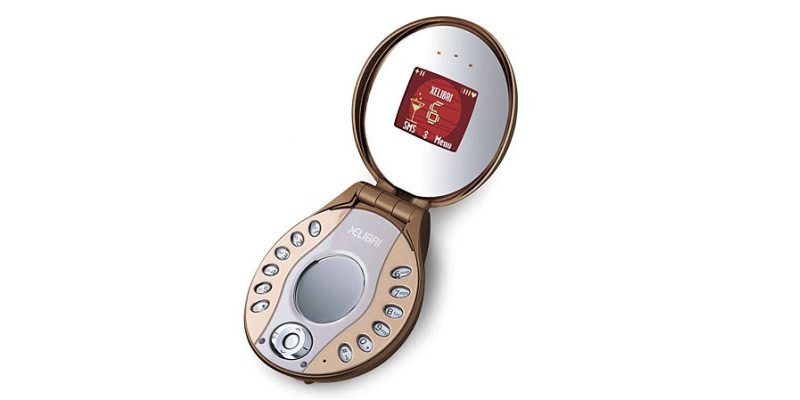 The Xelibri 6 did feature 2 mirrors though, so maybe it wasn’t as poorly targeted as we thought. The Rokr E1 was the 1st phone to feature iTunes, although it could only store 100 songs at a time (presumably to stop it competing with the hugely popular iPod) and took absolutely ages to transfer tracks. It wasn’t quite an iPod and it wasn’t a great phone either, so what was the point? 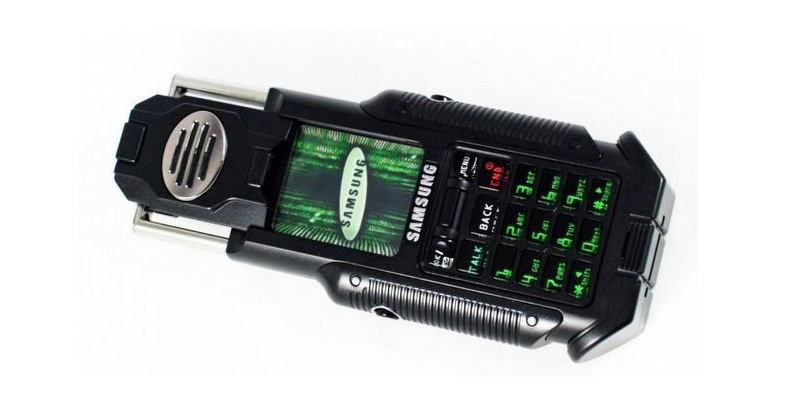 In the early 2000s, The Matrix was the coolest film franchise around and companies wanted a slice – including Samsung. The Korean tech giant worked with designers from the film to come up with a phone for Neo and the gang. The result was…erm, a TV remote from the 80s mixed with a walkie-talkie? The good news is that only 1000 were made and they can fetch a fair bit of money if you happen to have one. 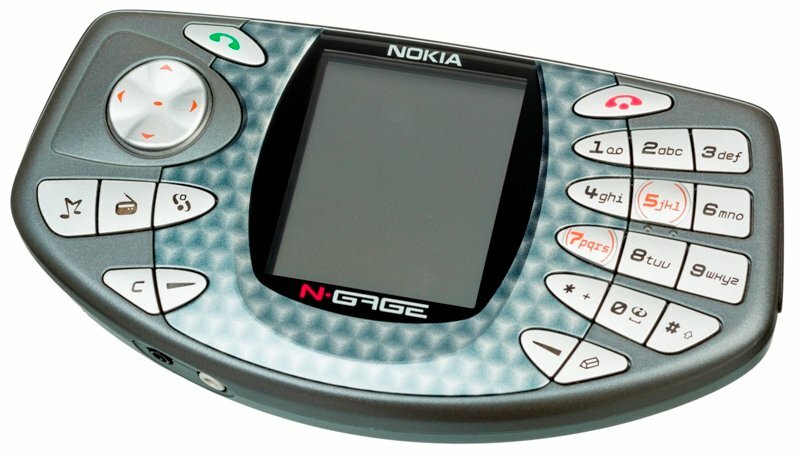 The infamous N-Gage aspired to be a games console and a phone but failed miserably at both. To make a phone call, you had to hold the edge of the N-Gage against your head like a Cornish pasty. We assure you that there was no way of making this look cool. It was even worse at being a games console, though. While the games on the console weren’t bad, the process of inserting the tiny game cartridges was borderline farcical: you had to turn off the device, remove the back and the battery, change the cartridge (trying not to drop either of them in the process), put the whole thing back together again, turn it back on and select your game from a menu. Try doing that on a crowded bus. In the end, the N-Gage got absolutely stuffed by the GBA and was consigned to history in 2007. Expect it to make an ironic hipster return in 10 years time. Like the Xelibri, the 7600 was aimed at the fashion set despite being possibly the most unfashionable phone we’ve ever seen. Why did phone designers of the mid-2000s presume everyone wanted phones that look like Tamagotchis?! To make matters worse, the 7600’s split keypad meant you had to use two hands to use it even though it was tiny. D’oh! Part USB, part phone and all ugly. To be fair, the Toshiba G450 was designed for tech fanatics who wanted their phone to double up as a modem but with two turntables of numbers that made it a challenge to call anyone, a tiny screen and 160MB of space, it didn’t stand a chance against 2008’s new wave of smartphones. Have you owned any of these phones, or would you like to suggest another phone for our list? Let us know in the comments. If you’d like to sell your phone and upgrade to a newer, sleeker model, click the button below for a FREE instant value! I agree with this article except…. The Nokia N-Gage (QD) was actually a decent device and much better than it’s early version (sadly the damage was done). It was fantastic for running TomTom on (with suitable Bluetooth GPS receiver) as it ran Symbian 6 and was quite powerful for the time. But the games were nowhere to be seen and eventually turned up online for next to nothing (or free ahem). The Nokia 7600 may have looked completely insane but if you’d ever used it you’d be surprised how comfortable it felt in the palm of your hand while you made calls. Mind came with soft leather “bumpers”. Plus it had a nice large bright screen. If you texted with two hands it was also very fast. BUT it was not a fast phone and the camera was terrible for the time. I replaced mine with a Nokia N93 which was a huge leap forward. And you say the Nokia 7280 was a nightmare to use, but only if you imagined it was like a “normal” phone. It wasn’t really designed as a phone for texting and you were meant to add new numbers by syncing. You COULD enter numbers with the Navi wheel that rotated UNLIKE the iPod’s “click wheel” which didn’t at the time. So Apple kind of copied that rotating wheel from Nokia (although they did it better). But the rest… yeah… total dogs. My Nokia 7600 was the best! It had a great camera for the time and I have some really great memories of it. If it had been a smart phone, it would never have stopped using it! 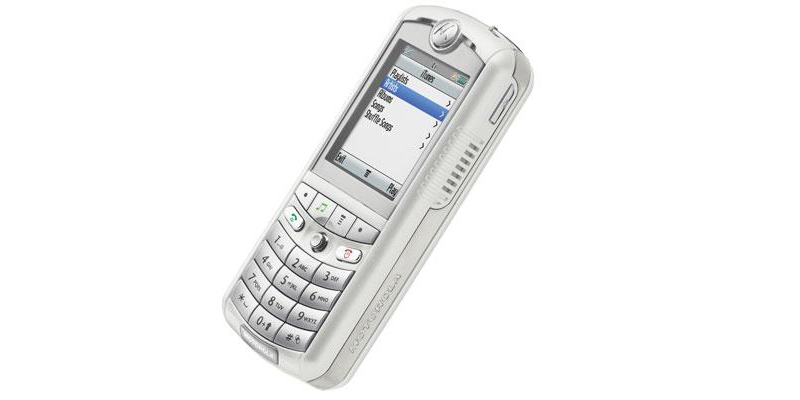 I had a Nokia 7280,I think it was marketed as the ‘lipstick’ phone. I thought it looked great at the time because it was before smart phones and when it was smaller the better. But it was completely useless and texting was like pulling teeth. I soon got rid of it but it was a bit of fun at the time.